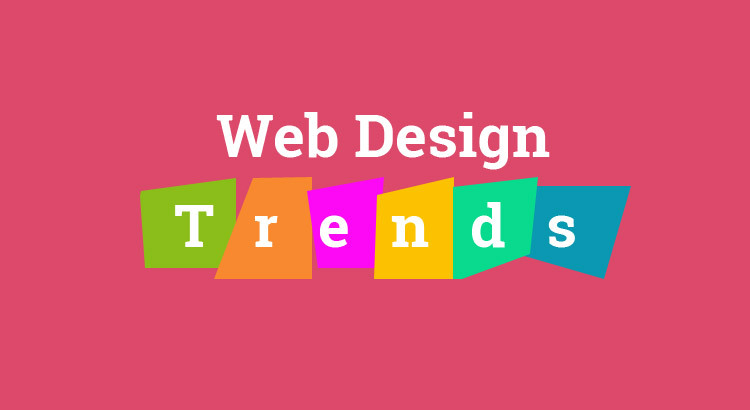 Website Design Trends is always changing based on the new technologies and styles. With the people turning to the internet for almost all their requirements, websites have to be appealing and catch the interests of their target audience not only with rich content but also with an attractive design. There are a few design trends that have come to stay for a while. In the present day fast life, people are getting more dependent on their mobile phones to access the internet and it is more likely that the mobile users will soon overtake the desktop users. This has led to websites adopting the vertical flow and reviving the vertical scroll which had become defunct some time back. Designers are now coming up with some attractive vertical user interfaces to make it comfortable for the mobile users to get access to the content. Card style interfaces are gaining much popularity as it helps in keeping the content in a more organised way. They make reading interesting and can keep a visitor glued to a site. Another feature of the card style interface is that they can be packed and piled both horizontally and vertically to be visible in all mobile devices whatever screen size they may have. Website designs are becoming more entertaining giving the visitors a new experience of full length online video clips. This has become possible with the improving technology and faster internet. Animations are in use for over a year now but has changed in form. They are becoming smaller in size and tiny animations are taking over the website designs giving the users a new and unique experience that keeps them amused and engaged while the content is being uploaded. Micro interactions are the means by which the user performs or accomplishes a task. The interactions create a link between the user and the interface. They are now considered an important element in web designing and give an alert of the result of an action performed. A simple example of interaction is clicking on the like button to a Facebook post which defines the experience of a user or the approved tick that one gets when they login to a site or blog with their user ID and password. With the advent of tools like Google Font and Abode Typekit radiant typography has slowly replaced the regular traditional interfaces. Type faces are getting broader and are exhibited in bold which cannot miss the eye. It is easily one of the best and most convenient way to convey any message. Sketches, illustrations and other fun images are not restricted to children alone now. They are widely being used in website designs which gives the users little more intimacy towards the website as sketches and illustrations gives a feeling of human touch. Sliders are likely to become a permanent concept. It all started with sliders where websites could move images within the screen to display the content. Then came the full screen sliders which displays any new content when the screen is refreshed. Web designers thus have a good variety of designs which are being created by picking up some popular styles and mixing them with some new concepts to create a stunning and captivating website.